“When I look up, I see Thalaiva (Rajnikanth),” says Girish Mathrubootham, the ‘thalaiva’ (leader or boss in Tamil) of India’s SaaS industry. In our 20th episode of Ask Me Anything (AMA), we hosted the co-founder and CEO of Freshworks, Girish Mathrubootham. Hailed as the demigod of the Indian SaaS industry, Girish is a first among equals. He is one among a rare breed of entrepreneurs who not only runs his own blockbuster unicorn — Freshworks — but also mentors other startup founders and invests in them too. Freshworks, with a valuation of $1.5 Bn, recently joined 15 other Indian startups in the coveted unicorn club after raising a $100 Mn funding from existing investors Sequoia Capital and Accel Partners, with participation from CapitalG. This came on the heels of Freshworks posting a $100 Mn annual recurring revenue along with introducing its new portfolio suite of services — Freshworks 360. The Chennai-based B2B SaaS unicorn claims to have more than 150K clients worldwide using the Freshworks software product suites, including leading companies such as National Health Service (NHS), Honda, Rightmove, Hugo Boss, Citizens Advice, Toshiba, and Cisco, among others. Facts and figures aside, we, along with our viewers/readers, were brimming with questions for Girish — the man behind the newly crowned unicorn. Inc42: So you have doubled your revenue every year from 2014 onwards and this year earlier this year you already announced that you have touched the hundred million revenue mark as well. So, give us a sense of how you are able to maintain this high-velocity growth and how can other startups, especially the young startups especially replicate this? Girish Mathrubootham: We weren’t really planning this revenue in the early days, we just thought that let’s set the world-class benchmark. So, when we were getting the first term sheet from Accel, I still remember Shekhar, our investor, asking me so Girish where will you be at the end of next year. I just said: I want to be at a billion dollars, not because we had a plan to reach Billion dollar but because anything less than didn’t seem right. If you’re playing in a global market, creating a world-class product, you have to get to a billion dollar and that was almost like we want to make it happen. So actually we hit it one month late, but it’s ok as it helped us to set the target high. And the next target for us was when we learnt about the Silicon Valley companies from some of the common investors, we looked at all the top companies that they were all going from a million dollar to 5 million dollars or 1.5 to 6 Mn dollar trajectory, so we decided that, even though the business model is different, price points are different, and the customer base is different but we said ok, for a world-class company in the valley it can go from one million to five million and so can we. So that’s what we’ve been thinking so my thought was always that let’s play. We are competing with Global companies and we have to play like Global company and that’s the DNA of benchmarking us against the best continued as a practice and that’s one of the reasons why we have been focused on growing at a really healthy rates. Also now that we have multiple products and we have a big market, so that helps the growth. Inc42: Another interesting point that I could see in the Freshworks journey is that you’ve acquired 9 companies so far which is probably the highest by any B2B technology company in India. What’s the philosophy behind that, why so many acquisitions? Girish Mathrubootham: Some of the companies came to us for partnerships or integration with Freshdesk or and then we saw that it makes sense and we were not going to build this technology and they were running out of money and we needed great people and so it worked out well. And most of the time, I had a conversation like a founder to founder and had an open conversation saying would you like to join us and we can build this big together. One thing is we have tried to do, at least in most of the cases, is that we have tried to ensure that the founders actually are working on the same dream that they were chasing as startups. As much as possible, we keep them chasing the same dream, it’s just that they are out of fuel, we keep providing them fuel, and now they are a part of the larger ship. So that was our approach: more opportunistic, we like the founder, we like the product, so let’s work together. 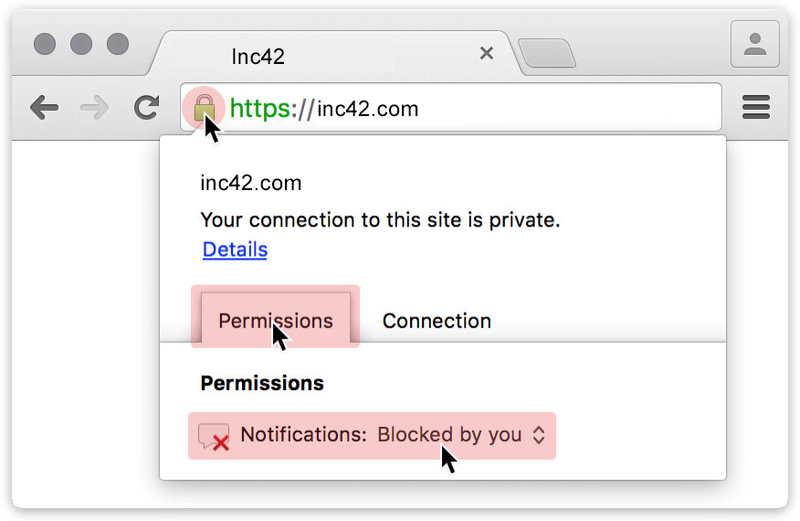 Inc42: Now that Freshworks is expanding its suite of products, it is in direct competition with Zoho in many industries. How do you see this panning out in future, will there be an outright war between Zoho and Freshworks? Girish Mathrubootham: Why should there be a war? The SaaS market is big enough for all players to co-exist. Inc42: If we talk about Indian SaaS companies, a common trend is that majority of the customers for Indian SaaS companies are outside of India and that’s the case for Freshworks as well, if I’m not wrong. Does this mean that India isn’t ready to adopt SaaS products just yet? Girish Mathrubootham: No, that is false as India is our third largest market, it’s just that more of an opportunity that you can play in a global market, but I would also say that the way to win in India is to win Globally. Indian companies also have high bars and they like to work with global leaders. My advice would be, especially playing in B2B software, it’s hard to really focus on building solutions for the Indian market, so a world class product should be able to customise and adapt to any market condition. Indian customers also like to buy a product that is globally well known and is winning, so I think India is a big market for us and for many global SaaS vendors. Inc42: You’ve personally invested in over 50 startups and have mentored probably hundreds of them. What are some of the critical problems that you see startup founders make early on in their journey as they’re trying to reach that coveted milestone of $1 million in annual revenues? Girish Mathrubootham: When you first invest in a Startup, you are investing because you see a passionate founder/entrepreneurs who are really building something that’s worthwhile. I should like the Founder and I should like the product, and you really are doing this with the hope of helping the entrepreneur scale. So my favourite analogy, I think I read somewhere maybe Naval Ravikant Of Angels, said that this spotting a young entrepreneur, is like a fifteen-year-old soccer player, it’s very hard to tell whether they are going to become world class player, but it is easy to tell who is not going to become a world class player. Some of the mistakes founders make in the beginning include (tapping into a) wrong market which is not big enough, co-founders not getting along well with each other, and hiring junior people in VP level roles early on, which doesn’t give you the ability to hire world-class talent later on. As the company grows its ability to attract talent also increases, so you need to ensure that you are not overpromising, so you don’t want your first sales person to be VP of Sales or something. Inc42: A lot of people look up to you, who do you look up to? Girish Mathrubootham: Whenever I look up, I look up to Thalaiva (Rajnikanth), because there are a lot of values, and I really admire him for his humility, the way he respects people, not letting success get into your head, etc. From an entrepreneurial point of view, I look up to Jeff Bezos. I am amazed that when running a company at that scale, he can still pull out innovation like AWS coming out of Amazon, and also the long-term thinking he brings to the company and not getting too much worried about short-term. Inc42: Right now there’s a lot of hype about the new technologies like Blockchain, Artificial Intelligence, AR and VR. How do you see these technologies developing in India and are you using any of them in Freshworks? Girish Mathrubootham: About Blockchain, I think we ran an experiment to see what use cases would be there. Even though we couldn’t really find but we are still in very early exploratory ideas because I think the concept of using it in our environment in terms of a support or CRM, but we haven’t really made any breakthrough. AL/ML, we are actually working on a lot of stuff in terms of broadly the direction which we are going is: so how can we assist the end user of a customer, how can we assist our user and how can we use ML and AI to help them make better decisions from there on the job the whether it is analytics, answers to questions, sentiment analysis, etc. So it’s a lot of work, you will hear more about it in the future. Inc42: Is there a work-life balance in your life? Girish Mathrubootham: I don’t believe in work-life balance, I believe in work-life integration. So the concept of work-life balance assumes that work should be boring and life should be interesting. I believe work and life can be interesting and as adults, our employees can choose what they want to do and when. Not only now, but throughout my career, if I am on vacation, I don’t consider any email from a colleague or customer as an interruption to my vacation and likewise, even at the office, I can do my personal tasks. I don’t look at it as I am getting out of my office time to do some personal work, basically, it is a prioritisation question. I can work at any time, I can play at any time, basically, that is work-life integration. This is not all. There’s a lot more thoughts, insights, and experiences that Girish Mathrubootham, the ‘thalaiva’ of the SaaS industry, shared with us on our AMA. Stay tuned for our next article on Girish’s Ask Me Anything!